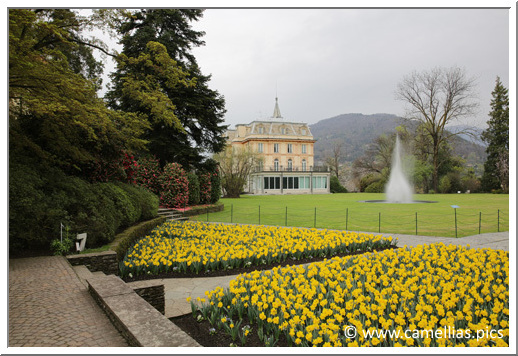 Here's another visit on the Italian shores of Lake Maggiore, in Verbania Pallanza (VB). 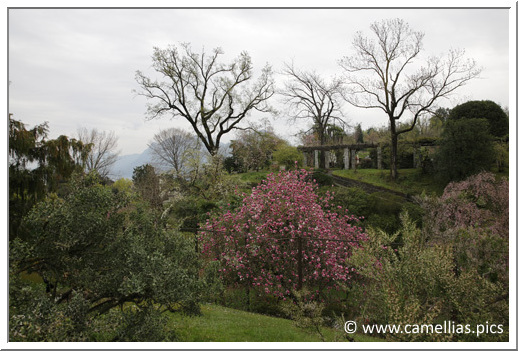 It is the botanical gardens of Villa Taranto. 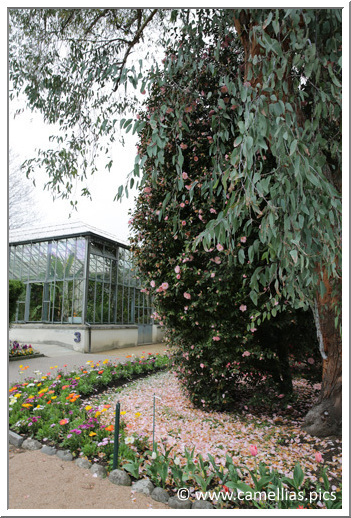 Created in 1930 by Captain Neil MC Eacharn and open to the public since 1952, these botanical gardens include 20,000 different species and varieties from around the world. 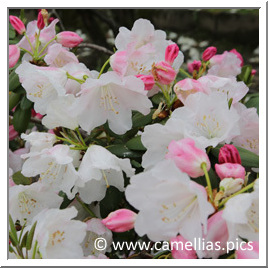 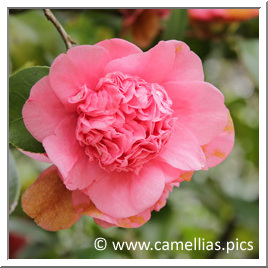 There is a rich collection of 450 camellias, most of which have impressive size. 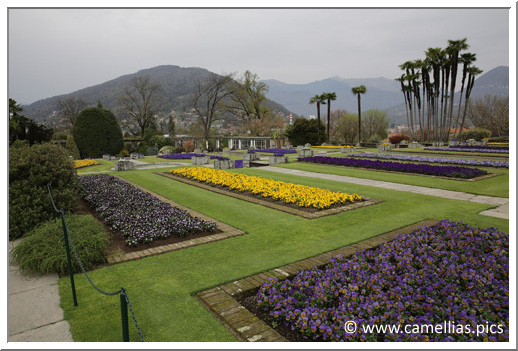 Two routes are proposed to the visitors, the first with a length of 1850 m for about an hour fifteen walk, the second of 2950 m for an hour and forty-five minutes walk. 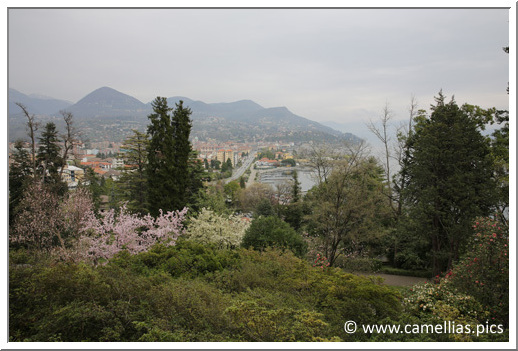 During the walk, you wil lhave nice views on the Lake Maggiore. 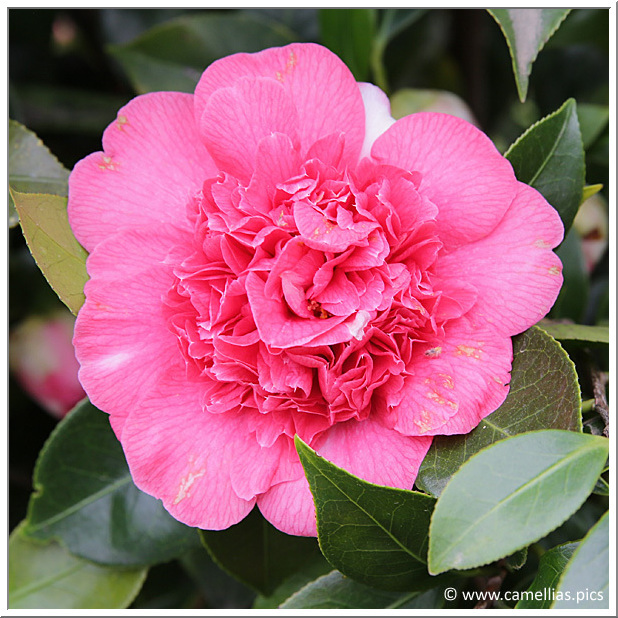 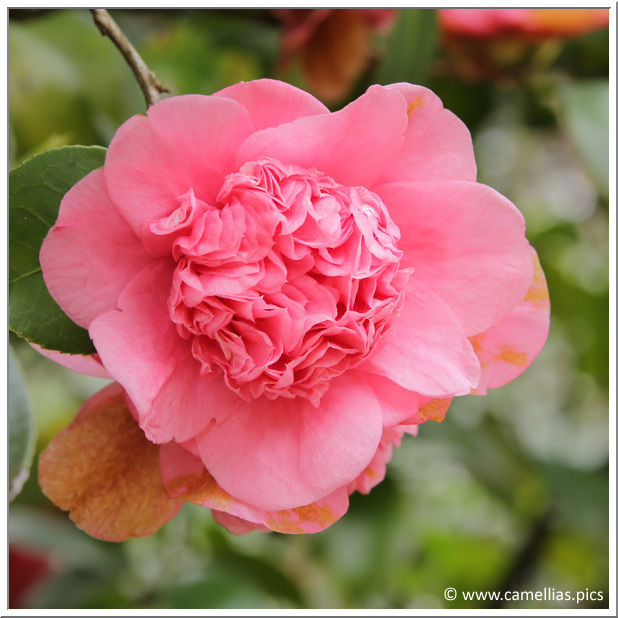 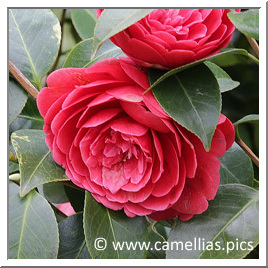 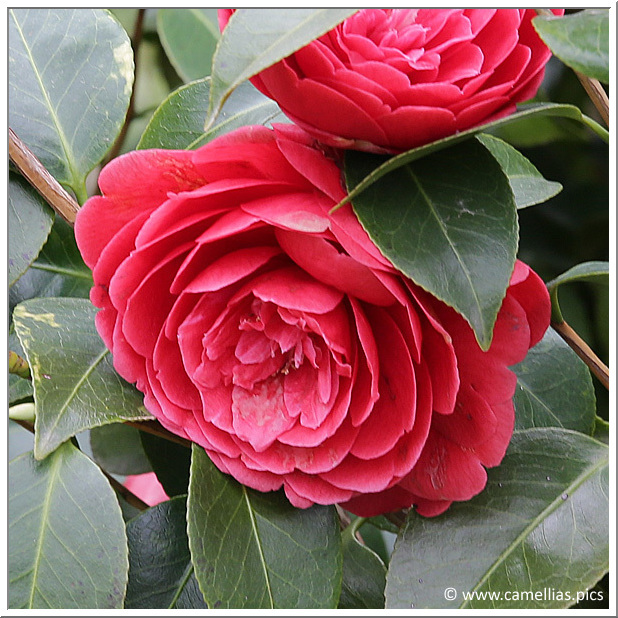 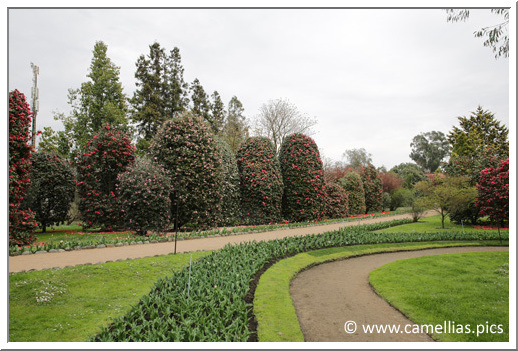 You can admire the camellias from October to April, but the optimum period is the first fortnight of April. 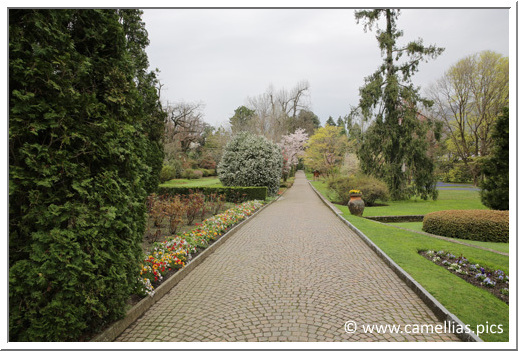 10 euro entrance and free parking. 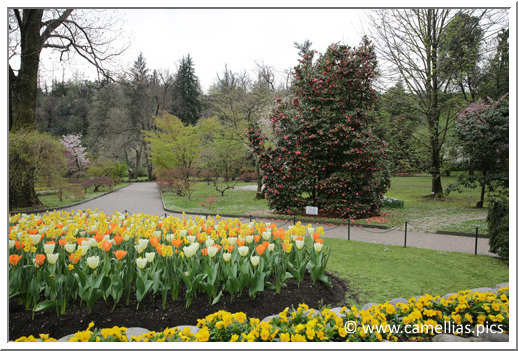 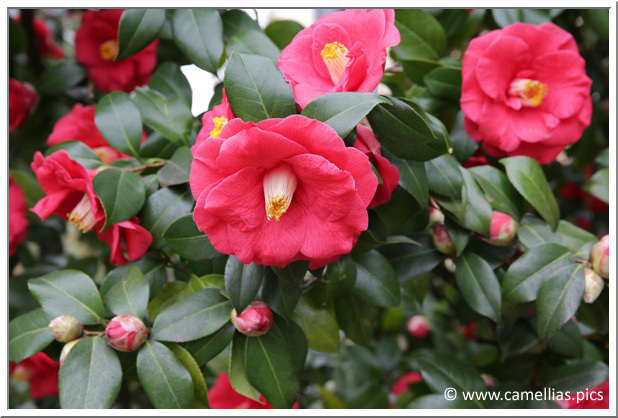 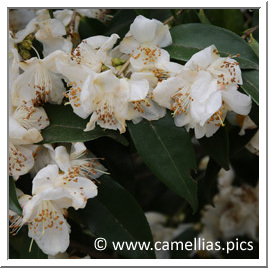 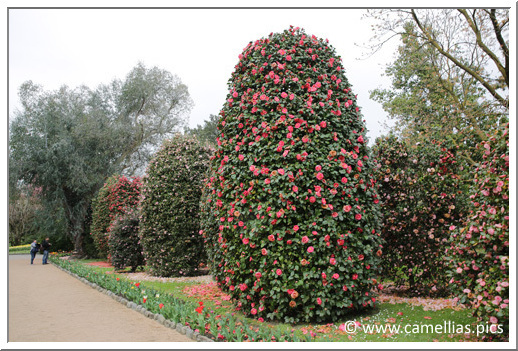 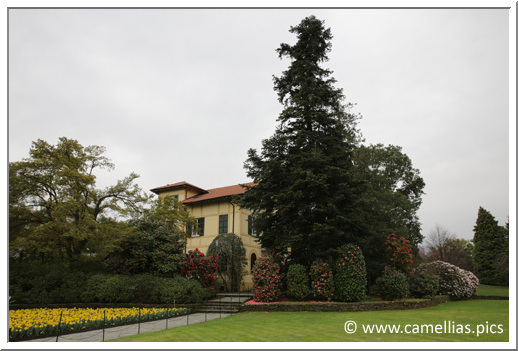 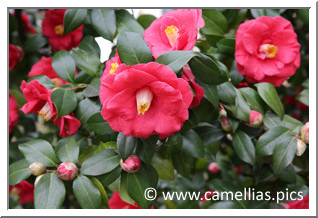 Here is the scale of the camellias in Villa Taranto, this beautiful C. cuspidata gives the example. 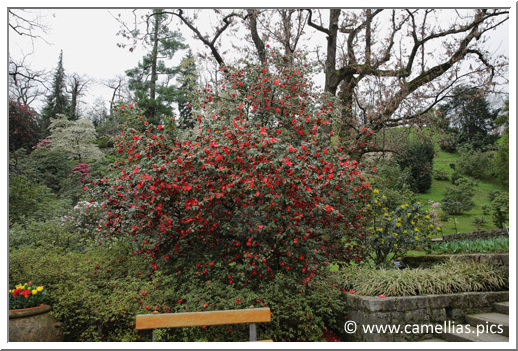 Below, its neighbor, covered in red flowers. 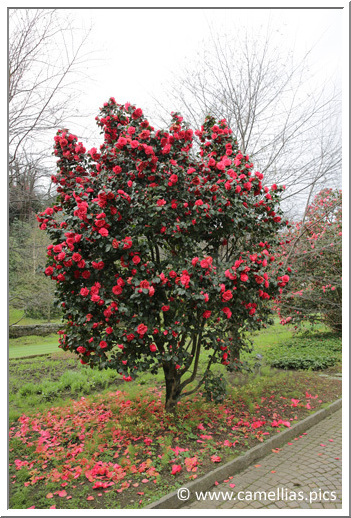 Above, one of the Magnolias of the collection, it is splendid. 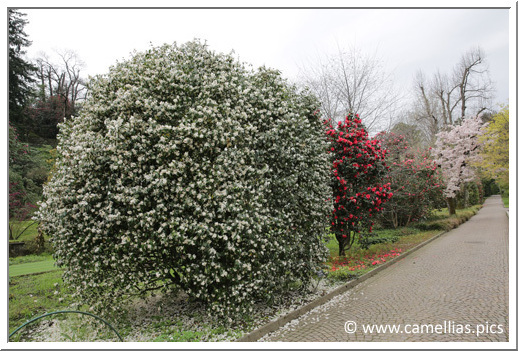 We are walking towards very large subjects that are aligned along a driveway. 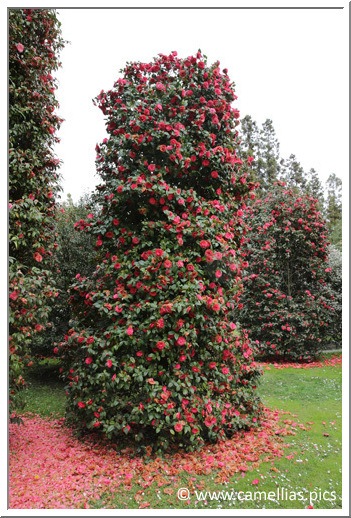 Their size is even more impressive. 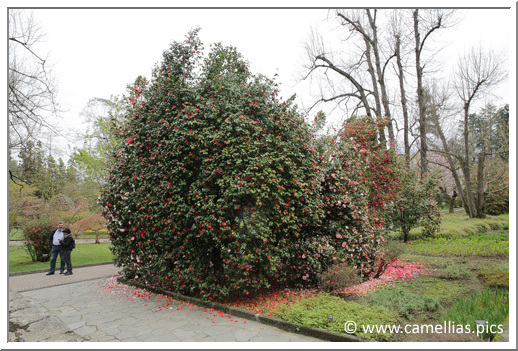 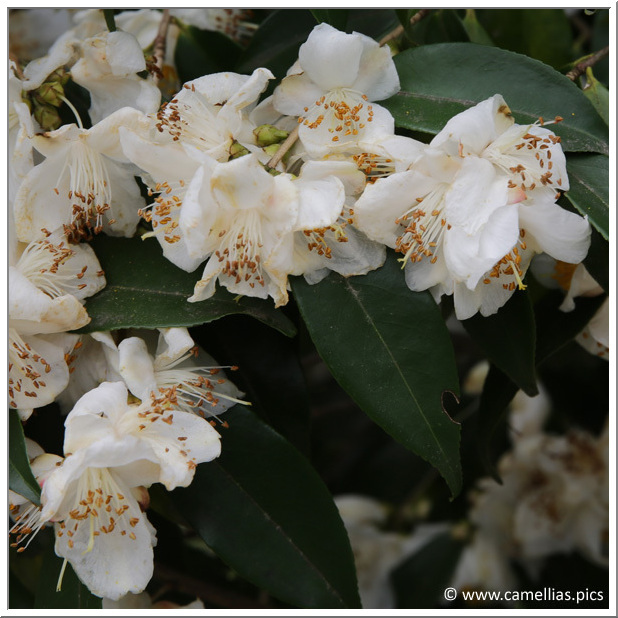 This big isolated camellia is 'Orestina Tonolli'. 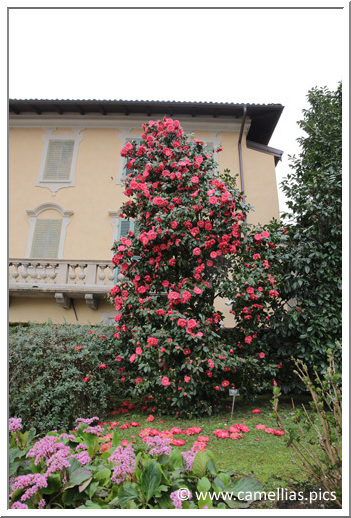 It is a gift from the Societa Orticola Verbanese planted 1979. Below, its flower. 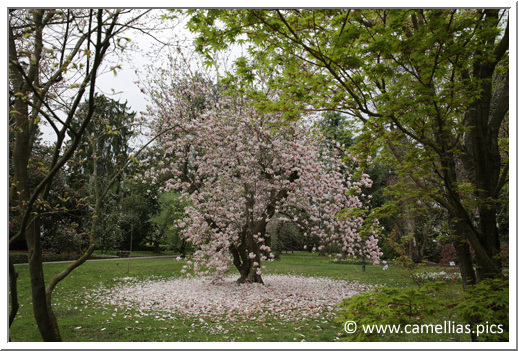 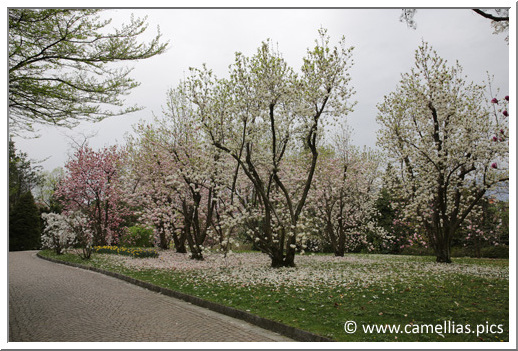 We continue the visit of the property and can we admire some other Magnolias. 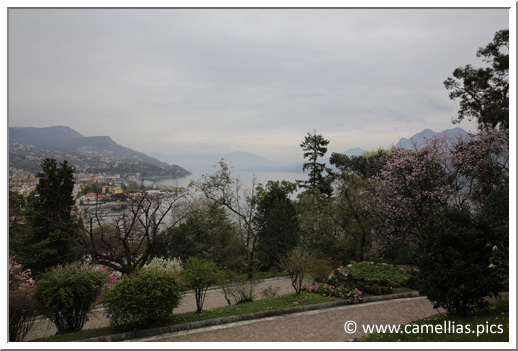 The view on the Lake Maggiore and Verbania. 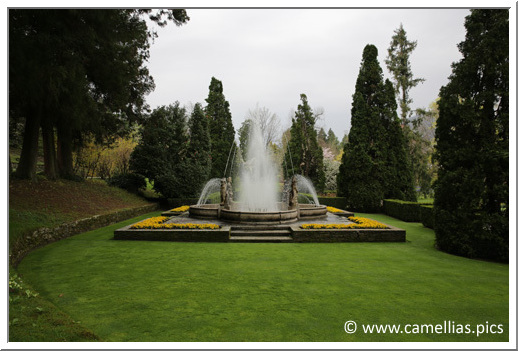 The tour ends back down to the entrance of the Garden.